Welcome to my first ever Library Hunt! So, I went to the library yesterday to return a huge pile of books and of course I returned home with another one. The pile could have been bigger, but we are allowed to take only up to 7 books. "In the Heart of the Sea: The Tragedy of the Whaleship Essex" by Nathaniel Philbrick, which I didn't even know was a book. I've only heard about the movie and I have plans to watch it. "The Absolutely True Diary of a Part-Time Indian" by Sherman Alexie, which I've heard mixed things about, but I really want to give it a try. The other books I just got on a whim, because they sounded interesting. I've never heard anything about them, but I hope I'll like them. 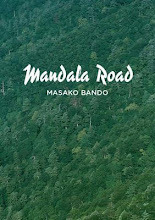 "Mandala Road" by Masako Bando - it doesn't have a high rating on Goodreads, but I may be pleasantly surprised. "The Lone Ranger and Tonto Fistfight in Heaven" by Sherman Alexie - while searching for "The Absolutely True Diary of a Part-Time Indian", I found this book, so I decided to pick it up. "Of A Boy" by Sonya Hartnett - I know nothing about this book. It sounds like a mystery novel. "Broken" by Shy Keenan - I really like reading sad books and I have a thing for non-fiction books about child abuse or hard childhood in general. I'm sure I will like this one. If you've read any of these books, please share you thoughts in the comments! Also, do you like the format of this post? Because I can may be include pictures from my local library while browsing through the books, if that is going to be interesting for you! Any opinions will be very much appreciated.